Grandmaster Samuel Kwok started Wing Chun training in 1967 under the able guidence of Chan Wai Ling in Hong Kong, He also had the oppotrunity of learing under the guidance of Lee Shing, a renowned Wing Chun teacher in the United Kingdom. 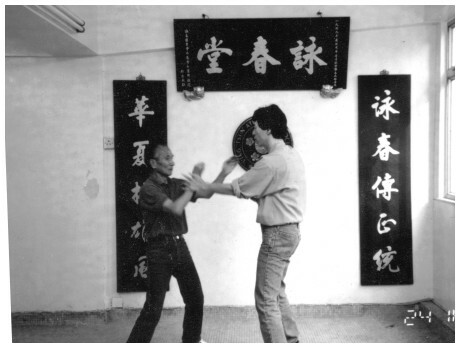 In the year 1978, Sifu was then introduced to IP Chun, son of Grandmaster IP Man - The father of modern Wing Chun by Lee Shing. For the next few years he had the honour of learning traditional IP Man Wing Chun from IP Chun and after gaining master level in Wing Chun he opened his first Wing Chun Martial Art School in Hong Kong. In 1981 he was appointed chairman and senior overseas representative of the IP Chun Martial Art Association by Grandmaster IP Chun. Over the years, sifu has conducted several seminars for Grandmaster IP Chun and Grandmaster IP Chin in the UK, USA, Hong Kong, etc. Nedless to say, most of his students have won a name for themselves at diffrent tournaments and demonstrations. It was Ip Man's dream, to spread Wing Chun around the world and that dream has been shaped into reality by Grandmaster, he was able to do what others before had little accomplished. Now settled in the UK, Grandmaster under the guidance of IP Chun and IP Chin, continues to represent traditional IP Man Wing Chun.